Home Arts Miami’s Little Havana: A Shot of Coffee. A Slice of Cuba. June 7, 2015 Arts, Culture, Food, Front Page, Harlem/Metro, Headlines, Lifestyle, Music, Opinion, Snapshots, Travel	Comments Off on Miami’s Little Havana: A Shot of Coffee. A Slice of Cuba. It’s just west of sleek Downtown Miami and just a few minutes away from golden beaches and turquoise surf – yet it’s a world apart. Cobblestone streets, charming shopkeepers, colorful murals, and monuments to Cuba’s heroes past and present. Little Havana is one of Miami’s most iconic neighborhoods. As Close As You Can Get to Havana, Without Going to Havana. For many locals, this neighborhood is the soul of the Cuban diaspora, and its heart is SW 8th Street, known as Calle Ocho. The street, bustling with activity, is lined with family-owned bakeries, coffee stands, restaurants, art galleries, cigar shops, fruit markets, and the occasional free-roaming chicken and rooster. 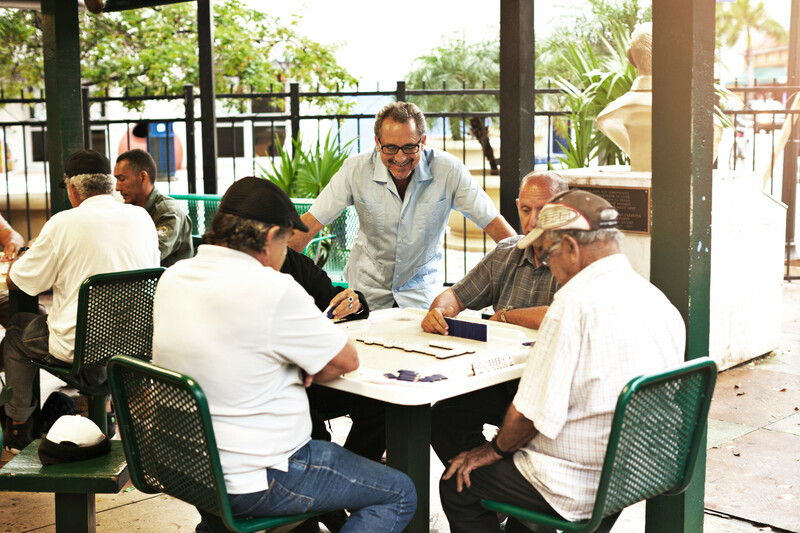 Through a cloud of cigar smoke, Cuban-American domino players —when not in the midst of a game at Maximo Gomez Domino Park—can be heard sharing stories about Cuba, the Miami Marlins and family. Their stories, like a Cuban coffee, are rich, flavorful and eye-opening. There’s a deep sense of nostalgia and lifelong friendships felt here. Dominos is the national game of Cuba and the clack-clack of tiles smacking down on a table is intense. It’s not always easy to follow, but the game is definitely fun to watch. A Real Taste of Little Havana. It’s been said that Miami has the best and most authentic Cuban food in the world. Mornings start off on the right foot at Yisell Bakery, with a guava-filled pastry and a Cuban coffee; either a cortadito or café con leche, both are espresso with steamed milk and sugar. There are restaurants up and down Calle Ocho and El Cristo is a great choice for lunch or dinner. Heading a bit farther up Calle Ocho is Versailles Restaurant. A landmark in Miami, Versailles is usually packed day and night with locals, power brokers and politicians. Even tourists will inevitably find themselves discussing Cuban politics. Cuban menus are known to be long, portions large and prices very reasonable. A meal is incomplete without a side of rice and beans – they’re a staple Cuban food. Most of the restaurants are family-run and, like their signature-dish recipes, date back generations. On the corner of 11th Avenue and Calle Ocho is El Credito Cigar Factory. Typical of a Cuban cigar factory or fábrica, skilled Cubans roll cigars by hand in the classic style, by one roller from start to finish. Many of the employees are multi-generational rollers who have inherited the family trade. There’s also a cigar lounge where enthusiasts enjoy El Credito’s much acclaimed “La Gloria,” a cigar known as much for its bold flavor as authentic touch. Roughly one million cigars are rolled by hand out of this boutique cigar factory’s Miami location. Cuban coffee, like dominos, is a revered local treasure in Little Havana. 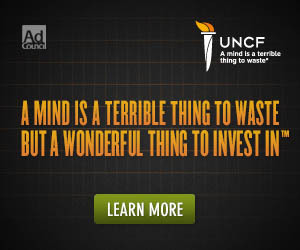 It can be found anywhere and is offered everywhere, even barbershops. Afternoons are meant for sharing a colada – a shot of espresso with a high ratio of sugar. A colada is served in individual shots out of small plastic cups. Though deceptively small, they pack a serious jolt of adrenaline. At Azucar Ice Cream Company, the fresh tropically-inspired ice cream flavors change almost every day. There are classics like chocolate, but when people come here it’s for the Miami flavors like café con leche (Cuban coffee & Oreo), Key lime pie and their original Abuela Maria® – vanilla ice cream, ruby-red guava, rich cream cheese and crispy, sweet Maria biscuits. An Old-time Mom & Pop Fruit Stand. Little Havana offers something no other place in Miami can: Los Pinareños Frutería – the oldest open-air market in all of Miami. Exotic fruits, veggies, local honey, flowers and some of the best fresh-made juices and milkshakes on planet earth can be found here. A real treat is guarapo – freshly-squeezed sugarcane juice, or their banana-café batido – a banana milkshake with, no surprise, a shot of Cuban coffee. Locals sit at the tables in the back debating current events and resting off in the shade is Tuca – the family’s pot-bellied pig. The Sounds of Cuba Are Music to the Ears. Cuban music floats through the air of Little Havana at all hours of the day – pumping from speakers at Lily’s Records shop, the beat of rumba through open doors at Top Cigars, or late on Thursday nights at Hoy Como Ayer, where crowds flock in droves to order mojitos and dance to the famous Afro-Cuban funk rhythms of Spam Allstars. Viernes Culturales & Art Walk: Celebrations for the Family. On the last Friday of each month, more than 4,000 people of all ages head to Calle Ocho for Viernes Culturales, or Cultural Fridays. From 13th to 17th Avenue, restaurants, bars, shops and galleries showcase the cultural arts scene of the neighborhood. A stage is set up on the street for bands, with plenty of salsa and rhumba dancing, and galleries keep their doors open until 11pm. There are 20 galleries in Little Havana—many on the surrounding block by the Futurama building—including Mildrey Guillot, Obrapia Fine Arts, Kontempo Art, Molina Fine Art Gallery and Cuba Ocho, which is a gallery and funky late-night lounge. The other cultural night is Little Havana Art Walk on the second Friday of every month. It’s a quieter version of Viernes Culturales where it’s possible to meet the artists and see brand-new works on display. Bringing Home a Bit of Cuba. Memories from Little Havana are long-lasting, but so are souvenirs. Right next door to Domino Park is Little Havana To Go. It’s the place to head to pick up a bit of nostalgia. Here visitors can find dominos, Cuban flags, 100% Cuban t-shirts, guayaberas, Celia Cruz paintings, and even painted coconut shell masks. Little Havana: Come for the Coffee. Stay for the Salsa. Little Havana is easy to get to and easy to get around. There are bus tours as well as guided walking tours such as People Place Connect and LittleHavanaGuide.com, both offering a taste of what makes this neighborhood a rich feast for the ears, eyes and soul. Grab a guayabera and be sure to pack some dancing shoes. Take a video tour of Little Havana and Miami’s other unique neighborhoods at ItSoMiami.com.